By Marc Boucher on September 17, 2018 11:47 AM. 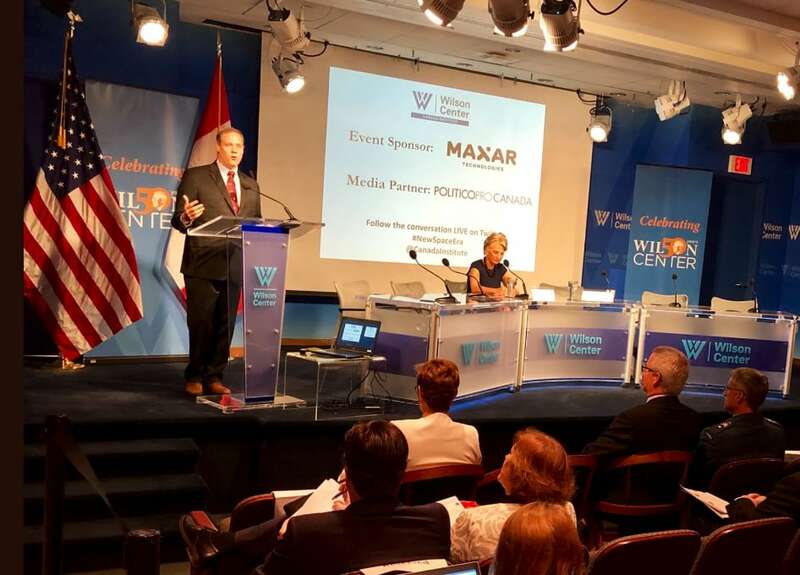 "On September 7 the Wilson Center's Canada Institute in Washington organized a one day event titled "Over the Horizon: A New Era for Canada-U.S. Space Cooperation?" As with many events like this, discussions behind the scenes is where a lot of the action was. Though, there was one clear fact that no one could surmount." \nCanada and U.S. Space Cooperation Remains Strong but Funding Drives Programs, SpaceQ\n\n\"On September 7 the Wilson Center's Canada Institute in Washington organized a one day event titled \"Over the Horizon: A New Era for Canada-U.S. Space Cooperation?\" As with many events like this, discussions behind the scenes is where a lot of the action was. Though, there was one clear fact that no one could surmount.\"
This page contains a single entry by Marc Boucher published on September 17, 2018 11:47 AM. SpaceX Will Announce Their Moon Passenger Next Week was the previous entry in this blog. National Space Council UAG Goes Through The Motions Of Being Interested is the next entry in this blog.